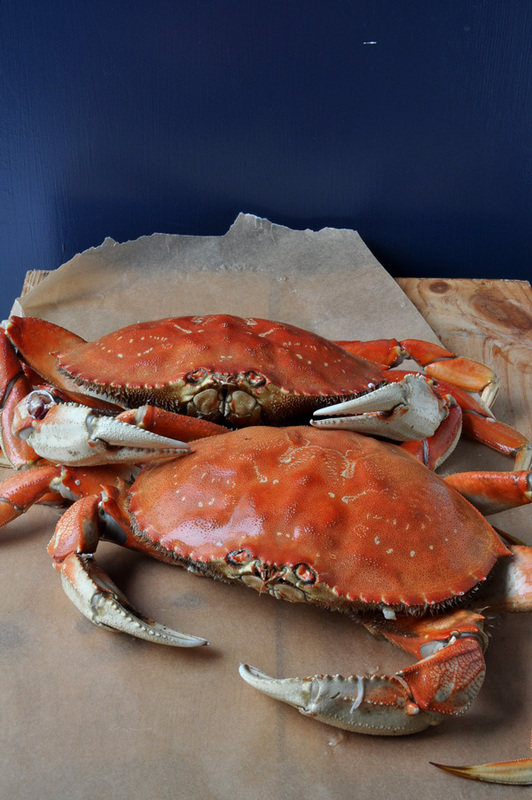 It is officially Dungeness crab season here in the Bay Area. and for us, there’s nothing more luxuriously decadent than feasting on fresh crab. Here are tips for cracking, cleaning and serving these delectable crustaceans and a trio of terrific dipping sauce recipes. 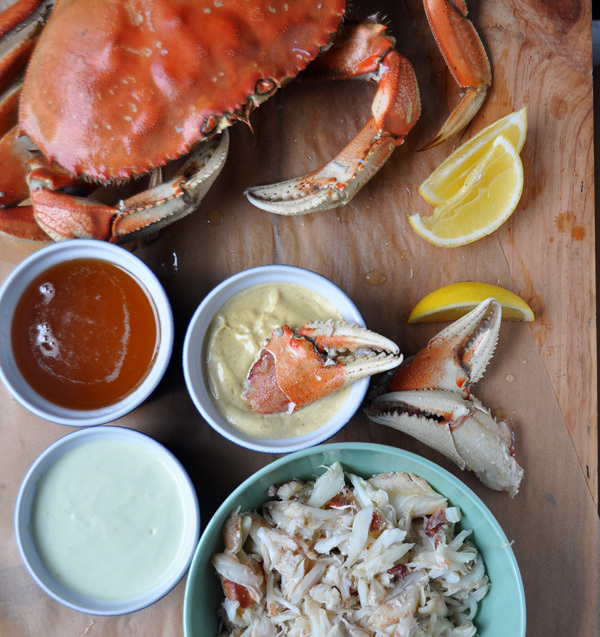 But really, any occasion is a celebration when crab is on the menu. 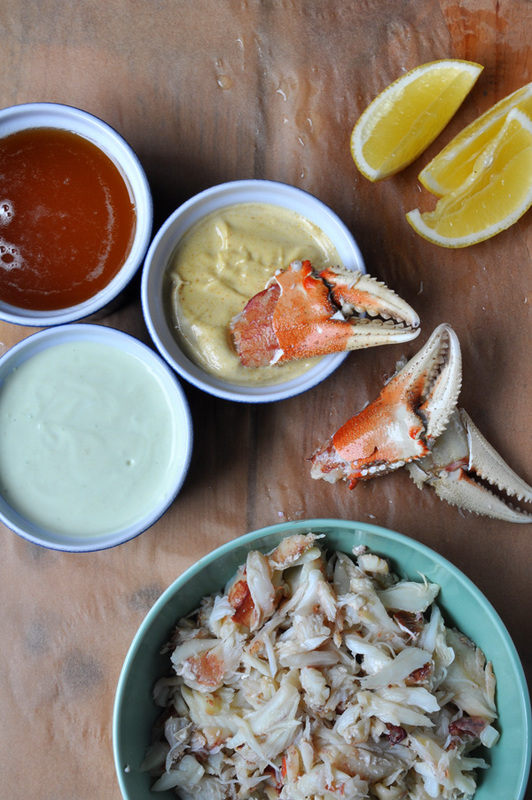 There are so many ways to enjoy crab but sometimes the simplest is the best: Fresh crab with an assortment of dipping sauces. 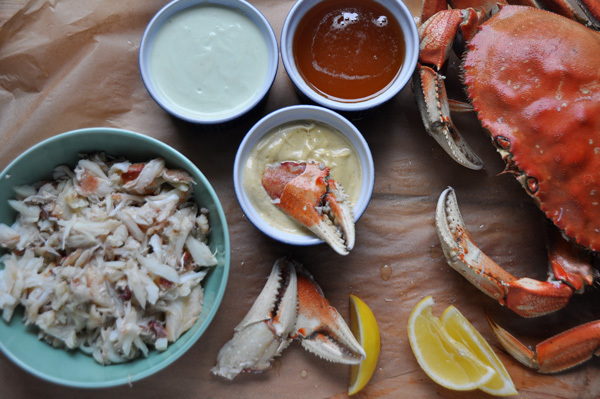 The best (and easiest) way to get crab is buying it from a fish monger already cooked. Full disclosure even though I am a professional cook by day, I am not a fan of killing crabs and lobsters. (I know, I am a wimp) I leave the cooking up to my trusty fish monger. But I do love to break them down, the effort is so worth the reward. Here is a great video that shows you everything you need to know about handling and cleaning a Dungeness crab. Now once you have your crab cooked and picked, here are my favorite dipping sauces to go with the crab meat. A simple Garlic Clarified Butter dipping sauce, Avocado Wasabi Mayonnaise dipping sauce and a Curry Mustard dipping sauce; all three are very different from each other but totally delicious. 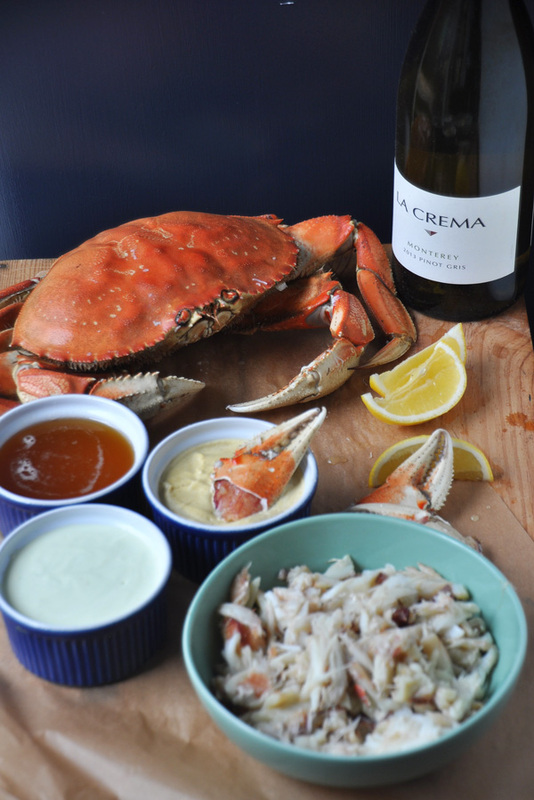 Serve the crab and dipping sauce alongside a La Crema Pinot Gris and you have what might be the perfect meal. What do you think, are you ready to make crab a new winter tradition? In a small saucepan over medium-low heat, melt the butter and garlic cloves. Continue to cook until all of the butter is melted and the milk solids from the butter have sunk to the bottom of the pan. Strain the butter and serve.